Session 407. I headed down to St Kilda with the family for an outing and some kitesurfing. My daughter Chloe was keen for a splash/paddle and our dog Pixie loves a swim. They either don't know about the 5 knots within 50m of a swimmer sailing vessel regulation or they don't care about it. The motive seemed to be "look cool and buzz around close to shore and other users". It was NOT cool. This behaviour posed serious safety risks to others. Several dog walkers were angry with them too. One kiter very nearly crashed his kite on sunbathers when he stuffed up a trick. If this keeps up it will attract attention from authorities and kiting could be banned. Here are some photos of the culprits. 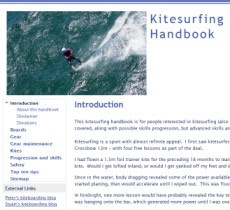 Note other kitesurfers further out doing the right thing . . . I then headed out for as session and did some tacks out past the breakwater and surfed some rollers back in. I did a short run up the Kiddies Pool well away from the shore. St Kilda is a nice spot but the fools showing off in the Kiddies Pool took the shine off my day.